When it comes to seasonal flowers, nothing represents the holidays better than a traditional Euphorbia pulcherrima, commonly known as the poinsettia. Although this plant finds its way into many homes during the holiday season, there are a few facts most people do not know about this beauty. Although the poinsettia comes in more than 100 varieties and a range of shades, the colored blossoms on a poinsettia we consider blooms, are not flowers at all, they are bracts or modified leaves. The “flowers” of this plant are the clustered buds in the center. Poinsettias are grown commercially in every state in the nation, with California leading production with over 6 million plants grown per year. However, it is a shrub native to South America. Given warmer temperatures, poinsettias can grow up to 12 feet tall with leaves measuring six to eight inches across. Ever wonder how the plant got its name? 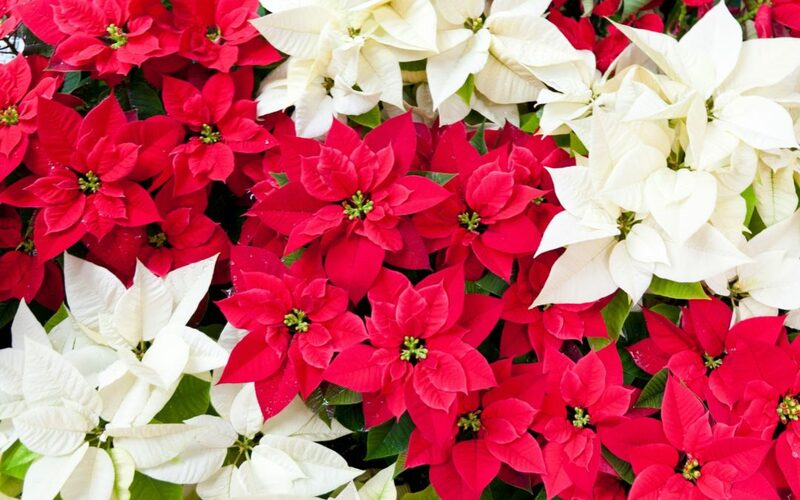 Poinsettias are named after an amateur botanist, and the first U.S. ambassador to Mexico, Dr. Joel Roberts Poinsett. Fascinated with the plant, Dr. Poinsett introduced poinsettias to North America in 1828. Poinsettias are considered to a toxic plant by most. The truth is, poinsettias are not poisonous at all. Although they are not deemed dangerous, ingestion of the leaves could lead to stomach discomfort. Poinsettias bloom during December and are challenging to get to rebloom the following year. If you would like to attempt at keeping your poinsettia around they require short daylight hours, no more than ten per day, you must also ensure they get some daily sunlight and be mindful of room temperatures as poinsettias are sensitive to the cold (poinsettias prefer 60-70 degrees). Water when the soil begins to dry. It is suggested that purchasing new plants every year is an easier method of getting your poinsettia for the holidays. May your home be filled with love, joy, and poinsettias this holiday season.